Luxembourg is a multilingual leading financial and investment centre in Western Europe with an innovative and evolving legislative framework. Capital markets represents one of its four main activities. Many of the most recent legal and regulatory changes were introduced in Luxembourg in response to an ever-growing interest in and importance of the Luxembourg securities market, while others were the result of the implementation of European corporate and securities law directives. Especially in the past decade there has been a growing interest in Luxembourg vehicles carrying out international IPOs, in particular for sponsor-driven IPOs. Compared to the size of its domestic market, Luxembourg hosts a significant number of public companies, which are listed on major international stock markets, not only in Europe but also in the United States, Latin America and in Hong Kong. 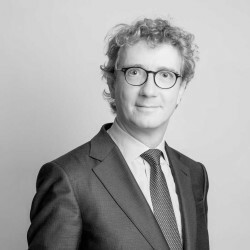 Luxembourg has also proved itself an attractive jurisdiction for international capital markets transactions as not only has it been very stable politically, but its legal framework allows for flexible innovative structuring solutions, because of the wide choice of specific legal entities on offer. Luxembourg offers a full value chain of all relevant financial services and multilingual support functions capable of handling international IPOs. To understand the Luxembourg IPO market and the securities listed on the Luxembourg Stock Exchange (LuxSE), it is useful to formulate a short introduction to the LuxSE. 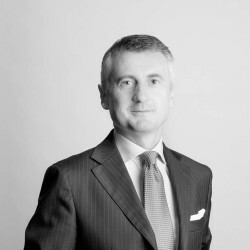 The LuxSE’s reputation is built on its pioneering role in listing a broad range of different types of securities including shares, warrants, certificates and global depositary receipts (GDRs) as well as a long history of listing international bonds and other debt securities in Europe. The LuxSE was the first to list the class of securities that became known as ‘eurobonds’ with the Autostrade issue in 1963. In 2016, the LuxSE launched the Luxembourg Green Exchange (LGX), a dedicated platform for green, social and sustainable securities. With more than 35,000 listed securities, including some 26,500 bonds from 2,000 issuers in 100 countries in 2017, the LuxSE is the world’s number one exchange for the listing of international securities. It had a 50 per cent world market share for green bonds, an estimated 50 per cent (2016) share for high yield bonds in Europe and an estimated 27 per cent share for renmimbi-denominated bonds outside Asia. International issues of debt obligations by governments who choose to list in the EU also find their home on the LuxSE more often than not. For example, the LuxSE admitted to trading a sovereign bond issue from the state of Argentina on 4 May 2016, with a total amount of US$16.5 billion issued. This is the largest emerging market single day issuance on record. Investment funds are also very commonly listed in Luxembourg, with 262 funds listed and over 5,100 share classes of UCIs were listed by the end of 2017 and it is expected that the LuxSE will want to extent its leading role in this field. Within the LuxSE, which is the only stock exchange in Luxembourg, there are two distinct markets. These are the ‘regulated’ market and the Euro multilateral trading facility (MTF) market. The former is a regulated market within the meaning of the EU Markets in Financial Instruments Directive (MiFID) II (Directive 2014/65/EU) and the latter is a multilateral trading facility, also defined within MiFID II. The advantage of listing on the regulated market is that the issuer benefits from a regulatory European passport, which allows it to apply for admission of the securities to the regulated market of any other member state of the EU, or conduct a public offer there, without substantive additional disclosure requirements in the host member state. This relies, however, on fulfilling the requirements of the EU Prospectus Directive (2003/71/EC, as amended). The requirements are comprehensive, and compliance therewith may be onerous. Moreover, if the securities are traded on the LuxSE’s regulated market, ongoing disclosure and reporting obligations arising out of the Transparency Directive (Directive 2004/109/EC, as amended) apply. For some issuers, who may not need the option of the European passport, the Euro MTF market (launched in 2005) offers a more straightforward option, with fewer regulatory restraints. This has proved to be very successful in attracting issuers, especially from outside the EU. As indicated in the answer to question 1, the majority of IPOs conducted recently by domestic issuers are listed abroad. This is probably because of the size of the country and the small domestic market. Luxembourg has traditionally been the home to many private equity houses. Likewise, it is not at all unusual to see a Luxembourg-based company being used as an IPO vehicle by a private equity house that is preparing its exit in this way whether or not the IPO is made in Luxembourg or abroad. Some issuers request a dual listing or an additional listing on the LuxSE, some other issuers submit applications for listings of their shares on the LuxSE other than in the course of an IPO. The LuxSE is also a popular venue for the listing of GDRs. With respect to the two market segments operated by the LuxSE (the regulated market and the Euro MTF market) the trend is to list on the regulated market if the application for listing is made in the context of an IPO, whereas issuers tend to apply for listings on the Euro MTF market whenever the listing occurs other than in the context of an IPO. In the latter scenario and as further set out in the answer to question 6, the listing prospectus need not be, and generally is not, Prospectus Directive-compliant. As already stated in the answer to question 1, however, most IPOs by Luxembourg issuers involve a listing abroad. The authority competent for the supervision of the securities markets and their operators in Luxembourg is the Commission for Oversight of the Finance Sector (CSSF). A Prospectus Directive-compliant prospectus, which is typically required where an IPO takes place in Luxembourg or in the case of a listing on the regulated market of the LuxSE, can be approved by the CSSF or by a foreign competent authority only within the meaning of the Prospectus Directive and subsequently passported into Luxembourg. The LuxSE is the competent authority to approve a prospectus for a listing on the Euro MTF (see question 6) and exercises specific powers, with a particular focus on applications for listing and trading on the LuxSE. Furthermore, the LuxSE is competent to monitor issuers with securities listed on the Euro MTF market and to ensure that they comply with disclosure and reporting obligations. The CSSF and the LuxSE are known for their pragmatic and flexible yet investor-protective approach. Prospectuses can be submitted for approval in English, French or German. Both the CSSF and the LuxSE offer the possibility to seek pre-clearance for the information to be disclosed in a prospectus. the third, Luxembourg-specific, regime (Part IV of the Prospectus Law): this applies to prospectuses drawn up in connection with the listing and admission of securities to trading on a Luxembourg market that are not included in the list of regulated markets published by the European Securities and Markets Authority (ESMA). To date, the Euro MTF market is the only such market operating in Luxembourg. The rules that apply to prospectuses drawn up in connection with the listing and admission of securities to trading on the Euro MTF market are set out in the ROI. To list on the LuxSE a listing application must be presented. The listing application (by way of an application form) must be accompanied by the approved prospectus (and, where applicable, the certificate of approval) and a signed undertaking letter for purposes of confirming compliance with the ROI. In addition, the most up to date articles of associations of the issuer and its annual financial reports relating to the last three years (or such shorter period the issuer is in existence) must be added. The LuxSE is competent to grant the admission to list securities on one of its two markets. Any such admission is typically granted within less than 48 hours. The appointment of a local listing agent is not required throughout the whole listing process. Persons who intend to invest in a company in the course of an IPO are entitled to rely on the information set out in the prospectus, which has to be published for the public offer of the relevant securities. The prospectus must contain all information which, according to the particular nature of the issuer and of the securities offered to the public or admitted to trading is necessary to enable investors to make an informed assessment of the assets and liabilities, financial position, profit and losses, and prospects of the issuer and of the rights attaching to the securities. The information must be presented in an easily analysable and comprehensible form. The exact rules on the content and approval of a prospectus will depend on the regime that applies under the Prospectus Law as discussed in question 5. Prospectuses approved under the first regime must be drawn up in accordance with and contain all information mentioned in the annexes of Commission Regulation (EC) No. 809/2004, as amended (the Prospectus Regulation). The CSSF is competent to approve these prospectuses, except where the prospectus has been approved by a foreign competent authority, within the meaning of the Prospectus Directive and subsequently passported into Luxembourg. Prospectuses approved under the second regime must be drawn up in accordance with the minimum content requirements set out in CSSF circular 05/210, which in practice means the minimum content requirements set out in the relevant annexe to the ROI. These prospectuses are called simplified prospectuses and are approved by the CSSF (in the case of a simplified offer prospectus) or the LuxSE (in the case of a simplified listing prospectus). In the context of an IPO, the simplified regime is only of limited use. Prospectuses approved under the third regime for admission to trading on the Euro MTF market must contain the information set out in the relevant annexe to the ROI. The disclosure requirements for prospectuses that are set out in the ROI are mainly derived from the now-repealed Directive 2001/34/EC. Furthermore, admission to trading on the Euro MTF market is always possible on the basis of a Prospectus Directive-compliant listing prospectus approved for that purpose. As long as no Prospectus Directive-compliant prospectus is approved, it must be ensured that pre-IPO marketing activities do not qualify as an offer of securities to the public. If the issuer provides over an approved Prospectus Directive-compliant prospectus for purposes of making an offer of the IPO shares to the public in Luxembourg, no specific restrictions apply. During the IPO process, any marketing material must comply with the principles set out in the Prospectus Law. For example, advertisements must be clearly recognisable as such and, if applicable, must state that a prospectus has been or will be published and where it can be obtained. Notwithstanding the foregoing, Luxembourg law does not require the prior communication to or the formal approval of marketing material by the CSSF, but issuers or offerors engaged in the IPO process may submit draft marketing material to the CSSF to obtain its opinion on the compliance of the relevant documents with the principles set out in the Prospectus Law. No specific language requirements apply with respect to marketing materials. In the case of an exempt offer of securities to the public in Luxembourg, the issuer or offeror need not notify the CSSF of the offer. Furthermore, material information provided by an issuer or an offeror engaged in the IPO process must always be consistent with that contained in the prospectus and, if addressed to qualified investors or special categories of investors, must be disclosed to all qualified investors or special categories of investors to whom the offer is exclusively addressed. In addition to the criminal and administrative sanctions that would apply if the relevant facts were to qualify as market abuse, issuers, offerors (including financial intermediaries commissioned to carry out the offer to the public) or persons asking for admission to trading on a regulated market face criminal charges in the event they made an offer of securities to the public or obtained an admission of securities to trading on a regulated market in breach of the Prospectus Law provisions. The same applies to their legal representatives. Moreover, the CSSF may prohibit or suspend advertisements for a maximum of 10 consecutive working days and it may also suspend or prohibit an offer to the public if legal provisions have been infringed. Likewise, it may prohibit or suspend trading on the regulated market of the LuxSE if it finds that legal provisions have been infringed (or ask other regulated markets that are concerned to suspend trading if, in its opinion, the issuer’s situation is such that trading would be detrimental to investors’ interests). The LuxSE has a similar right with regard to the Euro MTF market. The CSSF further has extensive rights to obtain information (including the right to make on-site inspections) and to make public the fact that issuers, offerors, including financial intermediaries commissioned to carry out the offer to the public, or persons asking for admission to trading have not complied with their legal obligations. The CSSF may exchange confidential information with competent authorities of other member states or transmit confidential information to ESMA or to the European Systemic Risk Board subject to constraints relating to firm-specific information and effects on third countries as provided for in Regulation (EU) No. 1095/2010 and Regulation (EU) No. 1092/2010, respectively. The table below gives only a rough indication of the prospectus approval. The actual timing depends on the prospectus approval process, which in turn is often influenced by the factual situation such as, in particular, the business activity or the complexity of the financial situation of the issuer. The usual costs and fees payable to underwriters and advisors in connection with an IPO in Luxembourg are largely comparable with those in most other central European jurisdictions. As most Luxembourg IPOs are taking place at an international level, the underwriting fees incurred in relation to Luxembourg are generally viewed as being encompassed within the total fees. The fees due to the CSSF for a Prospectus Directive-compliant prospectus approval (ie, the first regime as set out in question 6) are set out in the Grand Ducal Regulation of 21 December 2017 relating to the fees to be levied by the CSSF. In the case of equity securities the fees amount to 0.05 per cent of the value in euros of the total amount offered to the public or of the total amount for which admission to trading on a regulated market is requested. This percentage must be applied on the higher of the two amounts indicated above, with a minimum fee of €15,000 and a maximum fee of €100,000. For a simplified prospectus not subject to the requirements of the Prospectus Directive (ie, a prospectus drawn up in accordance with the second regime as set out in question 6), a €2,500 fee will be payable to the CSSF. For a prospectus drawn up in connection with the admission of shares on the Euro MTF market (ie, the third regime as set out in question 6), not subject to the requirements of the Prospectus Directive, a €2,500 fee is payable to the LuxSE. In addition to the prospectus approval fees set out above, listing fees are payable. The listing fees charged by the LuxSE vary in accordance with whether the request is submitted by an established or by a recently incorporated issuer. The latter is defined by the LuxSE as a company that has not published or registered annual accounts for the three preceding financial years. For established companies, the listing fee amounts to €2,500 (and €1,250 for subsequent listings) and the annual maintenance fee amounts to €2,500, including the year of the admission (and €1,875 for subsequent listings). For recently incorporated companies, the listing fee amounts to €5,000, including the year of the admission (and €1,250 for subsequent listings). As long as the issuer remains a ‘recently incorporated company’ the annual maintenance fee amounts to €5,000 (€3,750 for subsequent listings). In a Luxembourg public limited company or a societas europaea - which by far are the two most common legal forms of IPO issuers - the board of directors has the broadest powers to manage the business of the company and to authorise and perform all acts of disposal, management and administration within the limits of the corporate purpose. The board of directors can delegate the daily management of the company and appoint special proxies. Alternatively, the company may opt for a two-tier management in which case it is managed by a management board and a supervisory board. The day-to-day management of the company may be delegated to a single executive or to an executive committee composed of several members. The company must be supervised by an independent auditor. If the shares are listed on the regulated market of the LuxSE, the independent auditor must qualify as a certified independent auditor or, if the issuer is incorporated in a jurisdiction other than Luxembourg, be registered with the CSSF. The general meeting of the shareholders appoints the members of the administrative and supervisory bodies, decides on the allocation of results, may amend the articles of association and decide on the winding-up of the company. Luxembourg law provides a lot of flexibility and thus allows IPO issuers to adopt a bespoke corporate governance regime that should allow each issuer to accommodate best its own governance needs or the governance requirements of its shareholders. The board of directors must be composed of at least three members. A member of the board of directors may cumulate its membership in the board with an executive position in the company. Likewise, a director may also sit on the board or hold an executive position in an affiliated company. The term of office of a member of the board of directors cannot exceed six years but it can be renewed. Board members must always act in the best interest of the company as a whole (which interest may be different from that of a majority shareholder); as a consequence, Luxembourg law does not require the board to be at least partly composed of independent directors (there is only one exception to this rule as regards one member of the audit committee - see below). There are no residence or nationality requirements as regards the members of the board of directors (or those of the management board and supervisory board if the issuer has a two-tier management structure) or executives. In any case, but especially where there are no or only few Luxembourg residents on the board of directors or in executive functions, it must, however, be ensured that the company provides sufficient substance in Luxembourg. Even though recommended from a liability management perspective, directors do not have to demonstrate specific professional skills. If the shares of the company are listed on a regulated market, the board of directors must appoint an audit committee. In addition, the board may appoint additional committees (eg, nomination committee, remuneration committee) as deemed necessary. All Luxembourg companies with shares admitted to trading on the regulated market operated by the LuxSE must comply with the 10 Principles of Corporate Governance of the LuxSE. These do not apply to foreign issuers with shares listed on the LuxSE. the guidelines, which are indicative but not binding. The scope of the 10 Principles is sufficiently broad for all companies to be able to adhere to them, regardless of their specific features. The recommendations describe the proper application of the principles. Companies must either comply with the recommendations or explain why they deviate from them. In such cases, companies must determine which rules are most suited to their specific situations and provide an appropriate explanation in the statements on corporate governance in their annual reports. This flexible approach is based on the comply-or-explain system. This system, which has long been adopted in many countries, is recommended by the OECD and the European Commission. Owing to its flexibility, this approach enables companies (including non-Luxembourg companies or Euro MTF market-listed companies who voluntarily adopt the 10 Principles) to take into account their specific circumstances, such as their nationality, size, shareholder structure, business activities, exposure to risk or management structure. Smaller companies, in particular those that have recently been admitted to trading on the market, as well as start-up companies, may take the view that some of the recommendations are disproportionate or less relevant in their case. Likewise, holding and investment companies may require a different structure for their board of directors, which may affect the relevance of some of the recommendations to them. For instance, in such cases, the role of the nomination committee and the remuneration committee may be filled by a single committee. The Takeover Directive provides that a company must in principle remain passive in the event of a takeover, but in Luxembourg the Takeover Law provides for an ‘opt-out’ from the passivity regime introduced by the Takeover Directive. As a consequence, defences against takeovers may thus in principle be put in place by the issuer in compliance with some general principles set out in the Takeover Directive. However, the general meeting of shareholders of the issuer may decide to ‘opt in’ to the passivity regime and certain defensive mechanisms may then no longer be used without prior shareholder approval. The general principles laid down by the Takeover Directive with which defence measures against takeovers must comply, comprise, in particular the equivalent treatment for shareholders of the same class, the protection of corporate interests of the target company, the possibility by the target’s shareholders to eventually decide on the merits of the bid, the avoidance of market manipulation and share price distortions and the avoidance of a protracted takeover process. Luxembourg law offers a variety of takeover defences (and these can be combined). These can either be foreseen by the articles of association or contractually. Typical examples of corporate takeover defences are the issuance of various classes of shares, the issuance of non-voting preference shares, the issuance of beneficiary units or supermajorities for certain decisions. Examples of contractual takeover defences include change-of-control provisions in strategic agreements, issuance of convertible instruments and the creation of shareholder blocks. In practice, it is recommended that takeover defences be put in place proactively rather than to decide on the use of takeover defences only once a takeover has been announced. Foreign issuers tend to be attracted by the known track record in terms of stability and the experience of the Luxembourg financial industry, coupled with a company law that is sometimes more favourable to companies than in the jurisdiction of the group of the issuer. Mention is also made of the talent and expertise evidenced by the players who are involved in all levels of IPO transactions, as well as their language skills. Foreign issuers also look at the flexible and innovative approach of the LuxSE and the approachability of the CSSF. The LuxSE and the CSSF accept English as correspondence language and also respond in English. Luxembourg thrives on cross-border business and there are no special requirements for foreign issuer IPOs. As a matter of Luxembourg law, an ‘offer of securities to the public’ means a communication to persons in any form and by any means presenting sufficient information on the terms of the offer and the securities to be offered, so as to enable an investor to decide to purchase or subscribe to these securities and the definition also applies to the placing of securities through financial intermediaries. This means that there is in principle no distinction between ‘private’ and ‘public’ offers of shares in Luxembourg and marketing communications published in or addressed to persons located in Luxembourg easily fall within the definition of an offer of securities to the public, triggering the prospectus requirement set out in the Prospectus Law. for a total consideration in all European member states of less than €100,000 calculated over a period of 12 months. ‘Qualified investors’ for purposes of the Prospectus Law are persons or entities that are described in points (1)-(4) of section I of annex II to MiFID II, and persons or entities who are, on request, treated as professional clients in accordance with annex II to MiFID II, or recognised as eligible counterparties in accordance with article 30 of MiFID II unless they have requested that they be treated as non-professional clients. Certain marketing activities (including investment advice, brokerage, underwriting and placing) carried out in Luxembourg by professional intermediaries incorporated in a jurisdiction other than a European Economic Area member state require prior authorisation from the minister responsible for the CSSF and subject the entity (other than the issuer) engaged in such activities to the prudential supervision of the CSSF. In addition, the marketing must ordinarily be carried out in accordance with the conduct of business rules of the Luxembourg financial sector. Generally there are no taxes or duties payable in Luxembourg in connection with the offer and sale of shares in Luxembourg, or the execution of and performance by the issuer or other party involved in the IPO of their respective obligations under the common IPO transaction documents. Investors may file a claim for damages in civil and, under certain circumstances, in criminal courts, which, if successful, may result in damages for any losses arising out of an IPO transaction. Even where the CSSF is competent to supervise an IPO (or part of it) or has approved the prospectus, it is not competent to award damages to investors in the event that an investor has suffered a loss as a result of a breach by the issuer or its financial advisors of prevailing IPO rules. To the extent all parties agree, alternative dispute resolution could also be possible. To date, to the best of our knowledge, there has been no precedent concerning IPO-related claims in Luxembourg or under Luxembourg law. At present no class action is available under Luxembourg law. To date, to the best of our knowledge, there has been no precedent of IPO-related claims under Luxembourg law. Consequently, the following is a theoretical discussion of possible proceedings relating to IPOs and is yet to be confirmed by Luxembourg courts. An IPO-related claim would most likely result from an offer of shares to the public without the required, duly approved and published prospectus (omitted prospectus) or with a prospectus that contained misstatements, misleading information or omissions in breach of the Prospectus Law (a defective prospectus). Pursuant to the Prospectus Law, responsibility for the content of a prospectus attaches to the issuer, the offeror or the person requesting the admission to trading on a regulated market, as the case may be. The responsible persons as set out above, who must be indicated in the prospectus could be subject to civil liability as a result of a defective prospectus. No autonomous civil liability regime exists under the Prospectus Law; instead, the general civil liability principles as set out in the Civil Code apply. Investors may try to seek redress from the issuer of the damage they suffered on the basis of liability in tort. Liability in tort requires the existence of a (i) a breach (eg, an act or an omission), (ii) a damage resulting out of the breach and (iii) a causal link between the breach and the damage. Civil proceedings may also be based on a breach (condition (i)) that has been declared in previous administrative or criminal proceedings. Moreover, an investor may want to claim damages from a financial intermediary on the basis of this financial intermediary’s contractual liability if the investor can establish the existence of a breach by the financial intermediary of a contractual obligation with regard to the investor. Generally, it will be difficult to evaluate the actual loss suffered by investors in connection with an omitted prospectus or a defective prospectus, or in connection with the breach of a contractual obligation. While it may be relatively straightforward to establish any direct financial losses, indirect or non-material loss is extremely difficult to evaluate. Any damage suffered in the form of an opportunity cost may be one of the successful but limited remedies an investor may seek in this respect. Finally, given the international context of most Luxembourg IPOs, particular attention needs to be drawn to relevant provisions of private international laws to determine whether Luxembourg law is applicable. Most of the recently conducted IPOs by a Luxembourg incorporated vehicle involved the issuance of shares in dematerialised form as opposed to the more conventionally used shares in registered form. Shares in dematerialised form offer interesting opportunities for increasing liquidity, lowering administrative costs and gaining transparency on shareholding. With Luxembourg being the leading investment fund centre in Europe (and second in the world), there has also been a growing interest to launch Luxembourg investment fund type vehicles by way of an IPO.